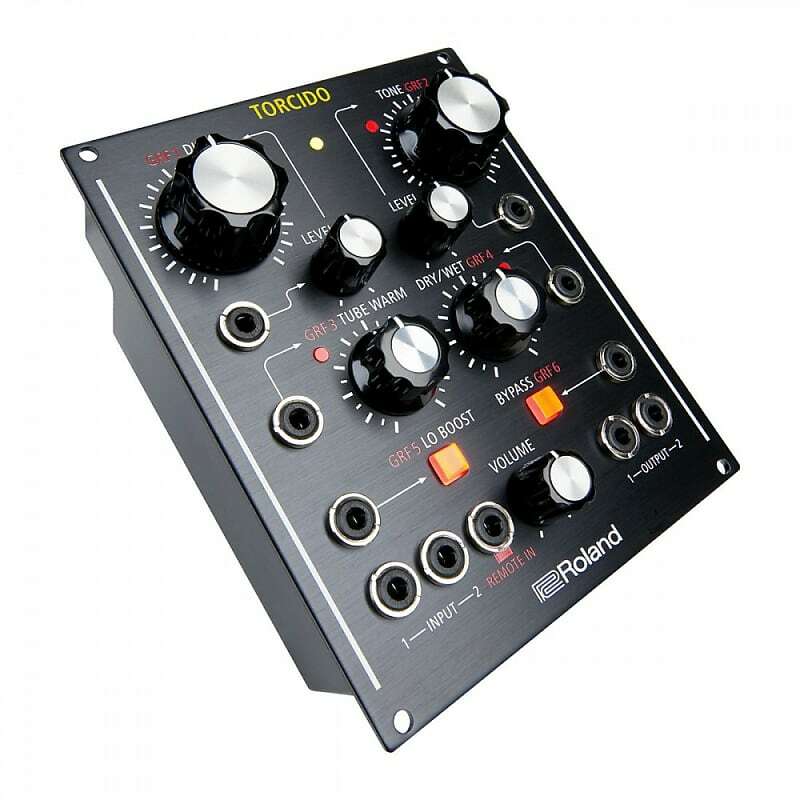 Product has been tested and repackaged by RolandProduct may have slight marks & blemishesIncludes original packaging, Eurorack power cable, mains power cable and instruction booklet1 Year Warranty Included Versatile Distortion Types The Torcido Modular can be used to produce a range of distortion tones such as gentle, warm overdrives to extreme hi gains. 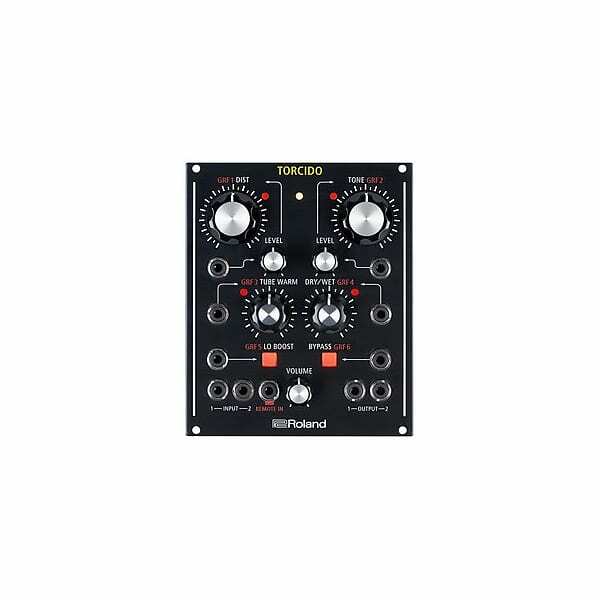 Loaded with large controls and patch cable connections the Torcido offers independent control over the distortion amount, tone, tube warmth, wet/dry signal, low-end boost and signal bypass. Both the distortion amount and tone parameters have input level controls for adjusting the modulation range when controlled from an external source. 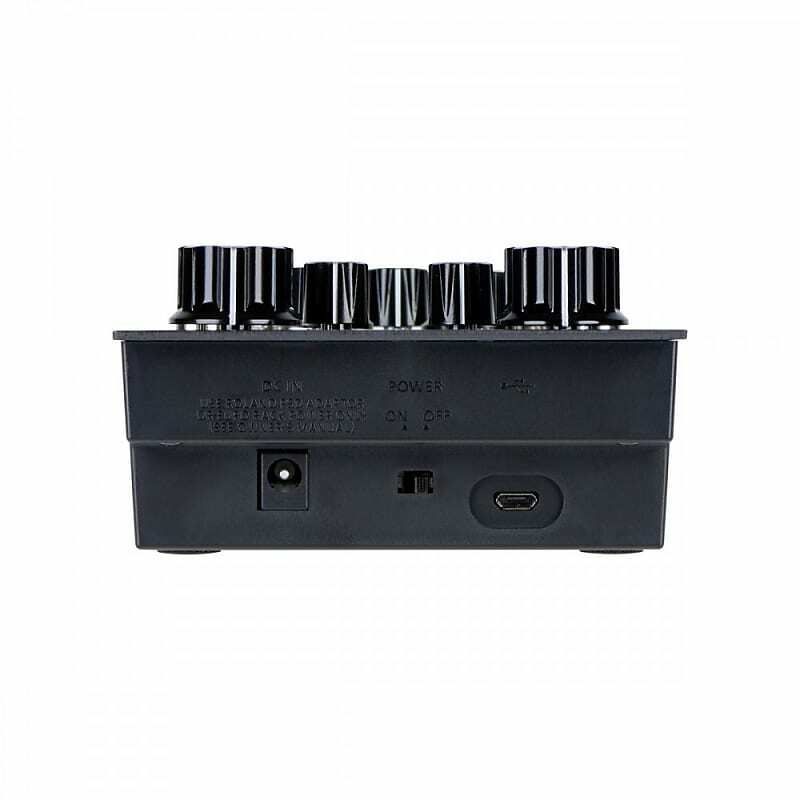 Connections & Compatibility Two inputs and two outputs make Torcido a stereo-capable, 24bit/96kHz audio interface for Eurorack systems and the built-in AIRA Link USB compatibility gives it single-cable, plug and play connectivity with the MX-1 Mix Performer. Customizable Sub-Modules While it sounds great out of the box, you can fully customize Torcido's internal signal path by re-patching its array of virtual sub-modules via a custom application that works on Mac and PC as well as iOS and Android devices. 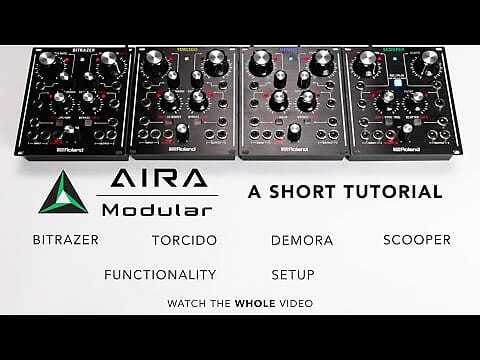 Sub-modules are re-patched through a simple and intuitive drag and drop interface that even lets you choose which parameters are assigned to the high-resolution "GRF" knobs. You can reprogram Torcido in real-time via USB connection or save and recall patches with a simple audio signal. You can even share patches with other Torcido users.